The complete guide to all the unique soils of Bordeaux and the terroir of Bordeaux found in all the different Bordeaux appellations in the Medoc, the Right Bank and Pessac Leognan and the climate in the region. Like all of the world’s best wine growing appellations, the soil in Bordeaux is relatively poor, inhospitable soils that while not great for growing most types of agriculture, they are perfect for growing grapes. The type of soil and terroir is the most important factor that will determine the quality of the wine. Simply put, the terroir and soil provide the vines with nutrients while regulating the amount of moisture to the vines. Those actions are paramount to the quality needed in a grape to produce high quality wine. In the best soils, or should I say worst soils, the roots of the grape vines are forced to seek nutrients for sustenance, which in some extreme periods causes the vines to go through periods of stress, where they seek moisture, and times when they are able to feed and develop, allowing the grapes to reach maturity. It is the lack of water at the right time that creates vine stress that force the development of the grapes instead of the leaves and canopies. This helps produce smaller berries with higher juice to skin ratios and naturally brings about lower yields. This creates a wine with more concentration and flavor. The type of soil best suited for grapes used to produce wine effectively regulates the amount of water the vines are able to reach at the right times. The terroir of Bordeaux is more than just the soil. There are a variety of factors to consider that create the special terroir of Bordeaux. For example, the climate with its weather, exposure to sunlight, ambient temperatures in the air and in the soil, elevation, natural drainage, access to water, the ability of the soil to retain water in the dry vintages and allow for natural drainage in the wet seasons. Those are some of the most important elements that change how a grape will ripen, develop and taste, due to the soils and terroir of Bordeaux. All of those possibilities alter the performance of the vines and the grapes in every vintage. You also need to factor in the level of the planting density in the vineyard, in other words, vine density, which is the number of vines planted per hectare. However, as with any agricultural product, it all starts with the soil, which is what this page on the terroir of Bordeaux is focused on. To understand the terroir of Bordeaux, you need to look at the type of soil in Bordeaux that the grapes are planted in. This will play a large part in determining the ability of the grape to reach phenolic maturity, or ripeness. Phenolic maturity is when the skin, seeds and pulp all achieve ripeness. The better the level of ripeness in the fruit, skins and seeds delivers more sweetness, lower levels of acidity and a higher pH, which will in turn soften the tannins and allow for silkier, more velvety textures in the wine as well as produce fresher wine with a better sensation of purity in the fruit. The combination of the correct soil with the right vines regulate the water supply to the vines and thus the amount of nutrients the vines receive. If the vines are allowed access to too much water through their roots, the benefits will help foster growth in the leaves and not the grapes. If the vines are forced to fight for nourishment at the right time, due to the regulation of water in the soil, the yields will be naturally reduced, the berries will be smaller and more concentrated. Thus the fruit has a better chance of achieving ripeness. Low yields are extremely important. Lower yields increase concentration in the wine. Low yields are controlled in the vineyards with various techniques that include; low yielding root stocks and clones, higher levels of vine density, along with proper vineyard management, which allows for naturally low vigor and the production of small berries that have good skins and high concentrations of juice. Other techniques such as green harvesting, pruning and bunch thinning are also used. Like every industry, progress is always being made, and vineyard farming is no exception. Several changes since the 1980’s have taken place in the top Bordeaux vineyards, starting with the move to sustainable farming, and organic vineyard management. At some point in the 1960’s, many vineyards began using pesticides, and chemical fertilizers, which sickened the vines overtime. Yields rose, and quality lessened. Today, almost all serious growers have stopped using pesticides, chemical fertilizers and weed killers, and have instead embraced organic, biodynamic, or self sustaining vineyard management. This has resulted in healthier soils, which are less prone to disease and now deliver lower yields. Ploughing is taking place in the large vineyards as well. Being labor intensive, the often, backbreaking work of ploughing was only done in small vineyards. But now, with the use of horses, ox and men, the benefits of ploughing are seen all over Bordeaux. Ploughing aerates the soil and breaks up surface roots, forcing the roots to dive, deeper into the soil, seeking nourishment. Instead of chemical fertilizers, many vignerons are using composting, which further helps the roots into the soil. All of this is to enable more life into the soil. Green harvesting and deleafing are two techniques that gained popularity after the 1980’s. Green harvesting offers multiple benefits such as reducing yields, by removing berries and bunches that are not capable of reaching maturity, while concentrating the juice in the remaining grapes as well. The use of cover crops, planting of grass between the rows is another common technique to further concentrate the grapes. The grass, which completes for water with the vines, helps dry out the soil, while also pushing the vines deeper into the soils, searching for moisture. Deleafing helps add more air flow to the grapes, reducing the risk of disease. Leaf removal also aids in achieving better level of ripeness or maturity to the berries, as they are exposed to more sunlight. The last step is during sorting where all unwanted grapes that are not perfectly ripe can be declassified or placed into second wines. Today, the average yield in Bordeaux is close to 40 hectoliters per hectare at a well managed property with good terroir. But that is not the rule. Several factors also affect yields ranging from the weather, age of the vines, desire of the owners as to the number of cases produced, and the quality level of their terroir. Lesser quality terror requires a more severe reduction in the yields to make quality wine. But there are exceptions to every rule. For example, there are produces with great terroir in St. Emilion that routinely produce wines averaging 25 to 30 hectoliters per hectare. The climate of Bordeaux is a temperate, Mediterranean, maritime climate. Located at the 45th parallel, placing Bordeaux smack in the middle of the equator and the north pole, Bordeaux enjoys a unique climatic advantage, other famous, wine growing regions do not have. The average temperature throughout the year is 13 degrees Celsius or 55 degrees Fahrenheit. The summer months, July, August and September are much higher, with an average temperature of 20 degrees Celsius or 68 degrees Fahrenheit. Those are average temperatures. During the peak summer months of the growing season, temperatures can often spike to 35 degrees Celsius, 95 degrees Fahrenheit, or even 40 degrees Celsius, 104 degrees Fahrenheit. But it is not the heat in the day alone that makes the vintage. It is also the cool, or cold nights that make it work. During the night and early morning hours, it is common for temperatures to average 9 degrees Celsius, 48 degrees Fahrenheit. The chill in the night air adds the much needed acidity to the grapes, which is what gives Bordeaux its unique fresh quality and elegant textures. The amount of sunlight the grapes receive is also paramount. The sunlight creates and heightens photosynthesis. Photosynthesis takes place when the plant converts sunlight to energy. In an average vintage, during the growing season, which takes place from April to late September, the vineyards receive about 1,400 hours of sunlight. Moisture is equally important. In an average vintage, Bordeaux receives close to 900mm, 35.5 inches of rain per year. However, you need to keep in mind that rain in Bordeaux can be quite localized, varying widely from bank to bank, and even appellation to appellation in a single year! All of these factors, temperature, sunlight and rain varies from vintage to vintage, which is what provides you with the diverse array of vintage characteristics in each year. Wind is only a moderate factor in the climate of Bordeaux, as most of the time, wind speeds are modest, ranging from 6 mph to 9 mph. Generally speaking, the maritime climate is as you have read, ideal for Bordeaux. But there are also potential problems caused by the climatic conditions as well. Climate change is a very important issue that has growers concerned. If temperatures continue climbing, (As projected) harvesting dates could become earlier, alcohol levels would also increase, potentially changing the elegant character of the wines. At this point in time, it is more of an issue with the Merlot, as it is an earlier ripening grape. Different canopy management strategies could help, and so might changing clones and, or rootstocks, grape varieties, as well as the current percentages of grapes the vineyards are planted to today. Future generations might not be able to enjoy the same style of Bordeaux wine produced during the 20th and 21st century if the climatic conditions change too much. Bordeaux vineyards also face potential damage caused by hail storms that frequent the region. To illustrate the real potential harm that can be caused by hail, in 1999, almost 20% of the harvest was wiped out in Saint Emilion alone! Frost is another fear that worries growers. While nothing like the frost of 1956 (Which decimated much of the vineyards of Bordeaux) has reoccurred, the possibility exists. Too much water for the soils to absorb at the wrong time of year is another risk growers in Bordeaux have to contend with. As we mentioned, most of the time, Bordeaux is not subject to extremes in the weather. But there are famous exceptions. In 1956, a large percentage of the vines in Bordeaux were killed when the region was hit with a severe frost. Temperatures reached -18 Celsius, 0 Fahrenheit and even lower. On the other end of extreme weather, 2003 remains the hottest year on record in Bordeaux. Several days broke 41 Celsius, 105 Fahrenheit! Other years have been wiped out from drenching rains. So, things are not always perfect in Bordeaux. The soil in Bordeaux is more than just the top soil, there are many other factors that affect the character of the grape, and perforce, the character and style of the wine. Under the top soil there exists an entire world of microbes, organic material, water, and other types of minerals and nutrition for the vine that also add to the grapes character. The poor soils on the surface force the vines to dig deeper into the sub soils to search for nutrition, which is why the sub soils are so important. The depth of the soil and the ability of the roots to delve deeply into the soil play a vital role in the development of the grape. For example, shallow soils with gravel are more prone to heat which can lead to earlier ripening of the berries. In cooler terroirs, this can be a positive factor while in hotter environments, with more access to sun, this might cause a problem. This is also a consideration when deciding on which vines to plant as well, because some grape varieties are going to reach higher levels of expression in select soils than others. For example, Cabernet Sauvignon is best in gravel soils, while Merlot is much better suited for clay as you will see. Left Bank Bordeaux, it’s soils and terroir. The soil in Bordeaux and the terroir of Bordeaux can be split into two distinctive types. On the Left Bank of Bordeaux, the best terroirs are predominantly gravel based. 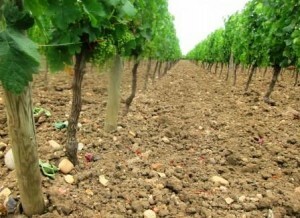 On the Right Bank of Bordeaux, the soils are dominated by clay and limestone. Of course you also find some clay, limestone and sand in the Left Bank, as well as gravel and sand in the Right Bank. It is these distinctive soil types that give the wines of Bordeaux much of their personality and character. The gravel found in the Medoc plays a vital role in the grape’s development. 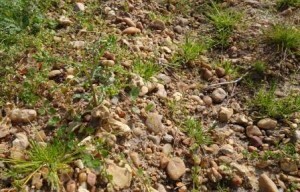 The gravel soils in Bordeaux allow for excellent drainage, which is paramount to the vines and grapes. The gravel soil encourages the roots to burrow deep into the soils seeking nourishment. Gravel soils also help by reflecting sunshine to the leaves and berries. The gravel soil in Bordeaux is also perfect for retaining and radiating heat when needed which can aid in the ripening process. Plus, the material the gravel beds rests on assists in the retention of the water during dry periods and helps with the development of important mineral characteristics in the wine. The sensation of minerality is widely prized among many wine tasters. On a momentary side note, the source of that highly prized, sensation of minerality, and where it comes from has been debated and studied in recent years. It is now thought that in part, the sensation of minerality might be attributed to esters and other chemical compounds found in wine as well as from yeasts, various bacteria and even some of the methods employed during the fermentation, vinification and the aging of the wine that bring about the prizes minerality characteristic. This issue continues to be an endless source of debate between science, wine lovers and wine makers. In the Medoc, which includes all the major appellations starting from Margaux in the south moving up through Saint Julien, Pauillac and ending in Saint Estephe, there is a diverse array of gravel soils which further enhance or detract from the character and level of quality in the wine. The majority of gravel found distributed in the Medoc was washed into the region from two main locations, the nearby mountain regions of the Pyrenees and the extinct volcanic mountain regions of the Massif Central in Southern France. It took millions of years for the rocks to erode into the small stones and pebbles that drifted into the various Bordeaux regions. The gravel became interspersed with other organic matter, clay, limestone, sand and mud, eventually coming to rest on the hills and at the bottom of the swamps and riverbeds that would become Bordeaux. The gravely soils of Bordeaux are of course not only created from gravel. The various types and sizes of stones rest on beds ranging from limestone to clay to sandstone and other mineral and organic materials. The type of gravel along with the depth of the gravel, play a major role in the character of soils and the terroir of Bordeaux. Over time, wine growers have discovered the gravel soils in the Left Bank were perfect for Cabernet Sauvignon, the dominant grape in the region. Merlot, Petit Verdot and Malbec are also planted in the Medoc, but it is the Cabernet Sauvignon that is the king in the gravel soils of the Medoc. It is important to note that all great terroirs are not created alike. In Bordeaux, the quality of the soils and terroir varies quite a bit. Not just from chateau to chateau, but even in the soils owned by the same property. Grapes from one vineyard grown in proximity to another estate often have nothing in common. It is a fallacy to seek out wine from a vineyard located next to a more famous estate. It is not just the soils in Bordeaux that can vary widely, so can numerous other variables including elevations, exposures and the ability to retain or remove water and the choices made by the grower. The Medoc is a massive, triangular shaped region that is bordered by the Atlantic Ocean to the west and the Gironde river to east. The city center of Bordeaux is located to the south. The best estates in the Medoc are all on land with gravel based soils, hills, elevations and access to water, most often the Gironde. Bordeaux is not exactly flat. When you visit the region, it’s easy to see the gentle slopes in the best vineyards. The slopes allow for good drainage in the wet years. The Medoc actually has a diverse array of soils and terroir that changes not just from appellation to appellation, but from south to north. In the south in Margaux, you encounter what could be the widest range of soils and terroir in Bordeaux, most of which is gravel based. As you enter the northern end of the Medoc in Saint Estephe, while gravel is still the key component in the soils, there is much more clay in the soils and terroir. Margaux also holds some of the most varied terroir in the Medoc, as the vineyards are situated on gravelly islands surrounded by streams and marshland. The gravel is particularly deep here, but with smaller stones than further north, and around the communes of Margaux and Cantenac a series of white gravel ridges form. The Pessac Leognan appellation was known as Graves, until 1997. The original name of Graves took its moniker from the large deposits of stones, rocks, pebbles, quartz and gravel in the soils. It’s the gravel, quartz and various stones along with a variety of minerals in all shapes and sizes, that give much of the Pessac Leognan appellation its diverse array of wines and styles for both red and white Bordeaux wine. 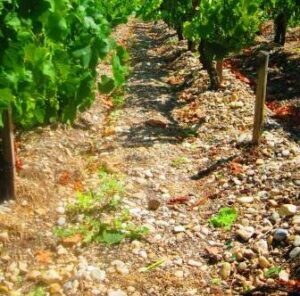 The soils of Pessac Leognan also contain deposits of sand and alluvial material. Depending on the vineyard, many of the top soils rest on beds of clay, sand or limestone sub soils. There are also terroirs in Pessac Leognan with iron oxide in the gravelly soil. In Pessac Leognan, the terroir is unique to all of Bordeaux, due to the production of red and white Bordeaux wine. For some vineyards, the soils can be a bit too warm for the white wine and slightly too cool for the red wine. This situation requires a lot of work and attention when it comes to the decision of when to harvest for both red wine grapes and white wine grapes. Cabernet Sauvignon is the most important grape in the Pessac Leognan and Graves appellations. However, there are large plantings of Merlot, followed by Cabernet Franc and small amounts of Malbec and Petit Verdot planted in the appellation as well. As temperatures continue to rise, it’s probable that more growers will continue increasing the amount of Cabernet Sauvignon planted in the vineyards. The vineyards used for growing white wine grapes in Pessac Leognan have larger amounts of limestone and clay in the soils. They are usually in cooler terroirs. Sauvignon Blanc is the dominant grape for the dry, white Bordeaux wine produced in the appellation. Semillon is the next most popular grape followed by Sauvignon Gris and Muscadelle. Things are different in the Right Bank with their respective terroirs and water sources. The two main appellations of the Right Bank, Saint Emilion and Pomerol are located close to the Dordogne river. In Saint Emilion, similar to what takes place in the Medoc, the terroir and soil varies dramatically from vineyard to vineyard. The best terroirs have soils with limestone, clay, gravel, sand and iron deposits. The best sites have elevations, slopes and good drainage. The top Saint Emilion wine comes from the estates located on the famous, limestone plateau. The plateau of St. Emilion, with its massive layers and deposits of limestone, along with loam, clay and elevations are some of the best terroir and soils in Bordeaux. As you head down the slopes towards the bottom of the hillsides, the soils are a mixture of clay, sand and limestone which is also called calcaire in France. Limestone is a specific type of rock that was formed from a combination of ocean animal remains, mostly sea shells, coupled with sand and mud that were crushed together for millions of years under the pressure and stemming from the weight coming the deposits of other rocks, debris and sea water. This creates soils that are perfect for the vines, due to the high levels of calcium carbonate found in limestone soils. There are several types of limestone that vary in weight, density and mineral content. 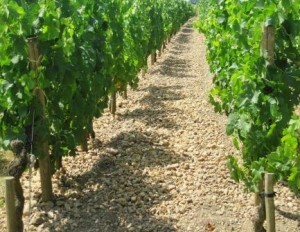 The most pure type of limestone soils found in Bordeaux are known as chalk. Asteries is the hardest type of limestone found in St. Emilion. Asteries was often used to build many of the Chateaux in Bordeaux due to its weight, density and beauty. Of course it is also found in select Saint Emilion soils and vineyards. The thickness and density of the limestone ranges from vineyard to vineyard in Saint Emilion. However many of the better sites have deep underground limestone quarries allowing visitors the opportunity to see the depth of the limestone, while affording an opportunity to see how deep the roots can delve, seeking nutrients. When you head west, closer to Pomerol, you find a complex array of gravel, clay, limestone and sand. Those gravelly soils allow for greater concentrations of Cabernet Franc that you find in Cheval Blanc. The further west in St. Emilion you travel, you continue encountering more fine grained sand and in the better terroirs, deposits of iron. On the eastern side of Saint Emilion, in the cooler terroirs, the soils have more clay. The limestone soil, due to its high level of calcium retains much needed moisture in the dry vintages, while adding pH and various mineral elements to the soils, which transfer to the grapes. In the wet, rainy years, limestone terroir offers good drainage. This is important because soils with too much water can never produce great wine. The high levels of calcium in the limestone are also effective in helping the vines obtain important minerals like calcium, along with potassium, sodium and magnesium. With time, limestone degrades and develops into clay. This takes place because limestone is high in pH and calcium, which eventually breaks down. These elements are found in the Saint Emilion limestone soils through the various deposits of marine life from millions of years ago. Clay as you now know is produced from degraded limestone, which explains why you often find limestone and clay located in the same terroir. Clay soils can contain a high, CEC, also known as Cation Exchange Capacity. That CEC is important as it allows the soil to help bring more nutrients into the grape vines. Because of the relationship between limestone and clay, the clay possesses many of the chemical compounds and nutrients that add to the uniqueness of the terroir; including calcium, pH and other trace minerals, that along with the CEC, help the soils to retain water and feed the vines. Merlot is the dominant grape in St. Emilion. Close to 70% of all vines are planted to Merlot, followed by Cabernet Franc. Small amounts of Cabernet Sauvignon are scattered in the region. But it is the Merlot that performs best in the limestone and clay soils found in St. Emilion. Clay has unique qualities that in the wet weather, allow it to act like a sponge soaking and retaining water, which helps replenish the vines during the dry seasons. When clay dries, it naturally cracks and develop fissures, which allow the vines to burrow into the soils, developing deep root systems. Pomerol, while located next to St. Emilion, could not be more different in soil composition. While clay or varying types and colors is prized in Pomerol, the soils also contain gravel, sand and deposits of iron. Merlot is the most important grape in the region, due to the appellation’s clay rich terroir. Close to 70% of all Pomerol vineyards are planted to Merlot. Cabernet Franc takes second place. Concentrations of gravel and sand are also found in Pomerol. Those gravelly soils are perfect for Cabernet Franc. However, all of the most famous estates in Pomerol are located on what is referred to as the Pomerol Plateau. Clay soils consists of very small particles which unlike gravel soils, have the ability to retain water. These small particles also allow the soil to expand and contract, allowing the vines to easily penetrate the soil, searching for nutrients. The best clay soils are the most compact and dense, which makes it difficult for the vine roots to penetrate. This is what takes place in the famous blue clay soils found at Petrus. In Pomerol, there are several types of clay found in the soils. But the famous blue clay of Petrus is considered the best terroir in Pomerol. The button or circle of blue clay resides in an inexact circle in the north east corner of the Pomerol plateau. This blue clay only exists with this much scale at Petrus. No other vineyard in the world has that wealth of blue clay. The blue clay is incredibly dense, making it almost impossible for the vines to penetrate. Petrus is the only Pomerol producer with close to 100% of their vines centered on buttonhole of Smectite clay. However, other estates located in the general vicinity have some of their vines planted on that small area of blue clay as well including; Vieux Chateau Certan and Chateau LEvangile. However, as you can see from the photograph, the top soil in Pomerol as well as in St. Emilion, are often littered with small stones of quartz, gravel and various other rocks and pebbles. The Pomerol plateau is filled with different types of clay and iron deposits in the terroir. The Pomerol plateau is the home to all the best Pomerol producers. Inside the Pomerol plateau, the quality of the terroir varies, due to differences in the soils, slopes and exposures, the terroir of the Pomerol plateau is a complex blend of gravel, clay, sand, crasse de fer and iron oxide. Clay, due to its makeup of tiny, soil particles has the ability to retain water. Depending on the density of the clay, the vines do not always have the ability to dive deep into the soils. This condition can vary, depending on the type of clay. Clay with the ability to retain water is often quite dense, making it difficult for deep root development. 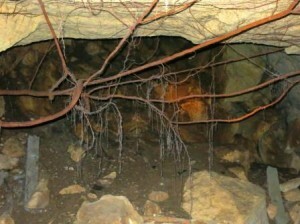 Drier types of clay allows for the vines to spread and develop deeper roots. Another way to look at the differences in clay versus gravel or sandy soil in Pomerol is to compare the finished product. Generally speaking, the denser the clay, the richer and more concentrated the wine. Pomerol from gravel based soils usually creates a slightly lighter, more finesse styled, fresher, brighter wine. The lightest wine from Pomerol comes from the areas with sandy soils. The sweet, white Bordeaux wine of Sauternes and Barsac are produced from their own, unique sets of soils, terroir and gentle slopes. Located about 25 miles south east from the city center of Bordeaux, and 20 miles from Pessac Leognan, Sauternes and Barsac are situated close to the Garonne river and Ciron river. Those two important bodies of water, with their different temperatures aids in the development of Noble Rot or Botrytis. This takes place in large part due to the cold, misty mornings and warm sunny afternoons that are unique to the Sauternes region. The terroir in the appellation is varied, with different degrees of gravel, clay varying types of sand and limestone that reside over an alluvial filled bed. However, you will find much more chalk, limestone and iron in the soils of Barsac than Sauternes. This explains in part, the differences in the styles of wine found in either commune. Semillon is the key grape in the Sauternes appellation for every chateau. There are also important plantings of Sauvignon Blanc and Muscadelle. While most wines are blends of either 2 or 3 grape varieties, there are high quality wines produced using 100% Semillon.